The Europe travel resources in this page are partners approved and qualified to offer genuine information about european destinations. All of these websites are written by a person rather than a tourist company, so you'll find the insider knowledge of someone who actually lives there, knows the area inside and out, and offers fresh travel ideas and family vacation ideas based on their own experiences. Planning a trip to Europe? Whether you're a seasoned traveler or arranging your first trip, Travel Safe Travel Smart will help you cut through the clutter with tools, resources, and practical travel advice to help you plan your overseas trip. 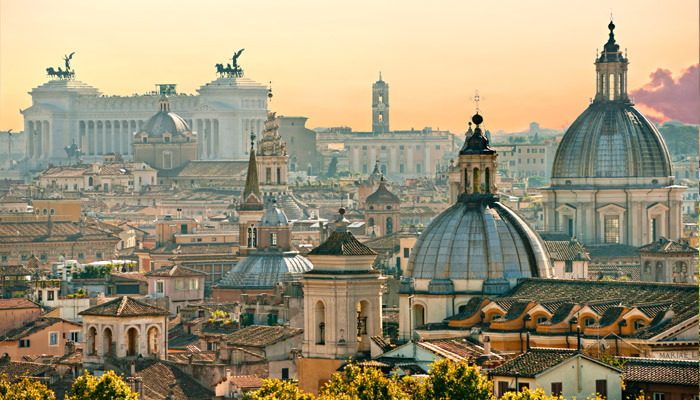 Life-In-Rome site offers you many wonderful pages about the Eternal City. You will get an overview that will quickly get you acquainted with the city. Also, ideas and advice for sightseeing, shopping and restaurant tips, suggestions for great entertainment, unique insider tips to make the most out of your stay in Rome Italy. Read Tuscany hotels reviews, compare the prices and make a right choice for your holiday accommodation in Tuscany, Italy. Vienna Unwrapped is Barbara's little black book of the best of her home town Vienna. For independent travellers who'd like to travel Vienna, Austria. Tenerife Information Centre is a complete resource of this largest of the Canary Islands, part of Spain yet lying off the west coast of Africa. Packed with information, advice and useful links. Gran Canaria Explorer is a travel guide to the Canary Island Gran Canaria with information about beaches, weather, hotels and much more! Guided Rome Tours. Take a premium guide tour of Rome and the Vatican with Access Italy.